Josie Muscat pictured with Joseph Muscat in 2013. Josie Muscat will be contesting the upcoming election on behalf of the Nationalist Party, more than 30 years after he fell out with the party leadership. In a surprise move, the PN approved his candidature on the second district, a Labour Party stronghold. Dr Muscat, 74, had served as a Nationalist MP until 1987, but had differences with the party after having, on his own, held talks with Dom Mintoff following the 1981 political crisis. He formed the Front Freedom Fighters after the 1981 election when Labour was re-elected with a majority of seats despite not getting the majority of votes. The grouping was a form of resistance action against Labour's authoritarian elements but its members were seen by many as sympathisers of European fascism. He broke from the party by voting against the constitutional amendments which preceded the 1987 elections, which he did not contest. Dr Muscat was leader of the PN youth section from 1967 to 1973 and later headed its workers' section. After 1987 he withdrew from political life and made a name for himself in the medical sector, particularly in the treatment of infertility. He later established the right-wing and short-lived Azzjoni Nazzjonali. 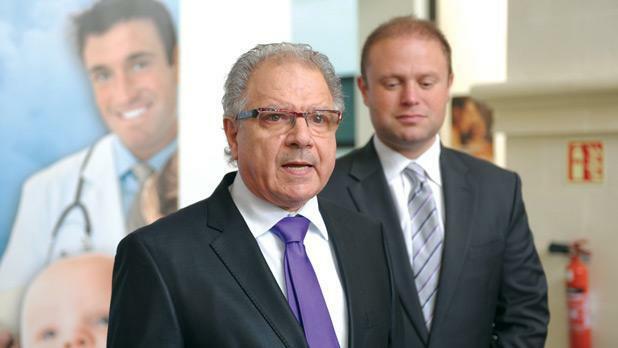 The controversial Dr Muscat is the chairman of Saint James Hospital. In another decision, MEP and human rights lawyer Theresa Comodini Cachia was also approved by the party to contest the fourth and eight districts. TV presenter Norman Vella will be standing on the fifth and eight districts. The PN executive also approved nine Partit Demokratiku candidates, who will be contesting within the PN/PD coalition. They are Monique Agius, Timothy Alden, Malcolm Bezzina, Duncan Bonnici, Lee Bugeja Bartolo, Anthony Buttigieg, Catherine Farrugia, Marlene Farrugia, and Charles Polidano.